Orlando, central Florida’s vacation destination isn’t just about rides, shows and thrills. Golf abounds in the city of Magic, with hundreds of private clubs, resorts courses and daily fee facilities waiting for you. 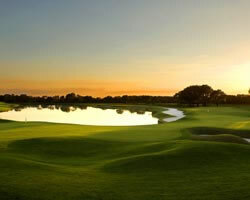 High on any list of places to play in Orlando is The Villas at Grand Cypress Golf Resort. This premiere golf and conference facility lives up to the numerous accolades bestowed upon it and then some. 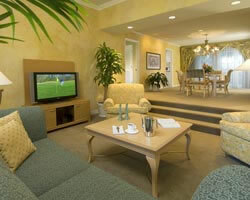 Located a short drive north of I-4 near the Disney megalopolis, is this golfer’s dream resort. 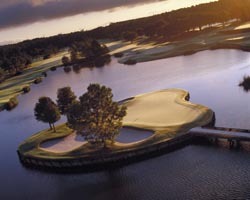 Featuring 45 holes of pure Nicklaus, there is no shortage of spectacular design waiting for you. Add to that a highly acclaimed 21 acre golf academy, headed by nationally recognized Fred Griffin, complete with a Taylor Made Performance Lab and three Nicklaus designed practice holes, everything golf you need or want is on site. 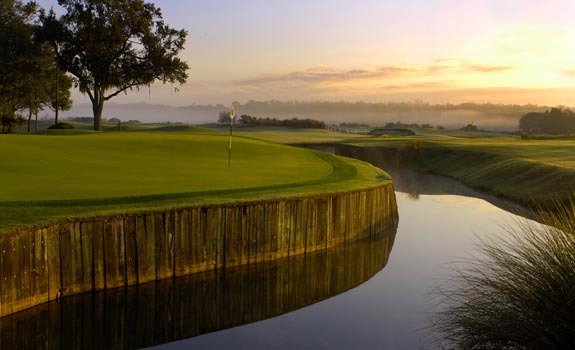 The Villas, a sister property of the spectacular Grand Cypress Hyatt, is a quiet charming oasis perfect for conferences, families and groups looking for great golf that is different from a typical hotel resort. The Villas provide guests with a choice of one or two story, club suites and villas, elegantly appointed, with one – four bedroom options. Perfect for families or groups, these comfortable self-contained units provide all the necessities to make your stay memorable. Patios overlooking the North Course, flat screens and generous common areas give you a place to relax in comfort or relive the day embellishing about the shots made on the links. Dine in your villa or enjoy light casual fair at The Club, themed as a sports bar, or for those looking for a more fine-dining experience Nine 18’s elegance and exceptional menu. A spectacular pool, games area and bike rentals at the Villas allows guests a perfect way to relax, while a short shuttle to the Hyatt opens up boating, fishing and beaches to compliment the spa, pitch and putt golf and racquet center. Easy transportation between both resorts and the nearby Orlando attractions makes this stay both relaxing and exciting at the same time. The Villas of Grand Cypress is a perfect locale whether looking for an exceptional conference host, a grand golf get away, or relaxing respite from all things life throws at you. The North and South nines are the original holes designed by Nicklaus. Featuring trademark bunkering, gentle and severe doglegs, lots of water and some of the most dramatic greens in the portfolio, this layout is a shot makers delight. Plenty of risk and reward greets you with strategic water guarding greens and lining fairways. A double green complex leads to the pair of finishing holes each wrapping around a pond on their way back to the clubhouse. The East nine features much of the same Nicklaus design, with a delightful island green. For an Old-World golf experience, Nicklaus created a tribute to the history and genius of the Old Course. The New Course built in 1988 is complete with double green complexes, 150 deep nasty pot bunkers, a steep banked burn fronting many greensites and nary a flat lie to be found. This design is true-links; all that’s missing is the ocean breeze. Bring your imagination and an exceptional short game to score well.